As you search for the right new door, remember that there are a lot of things to consider. If you only think about one factor, such as price, then you are likely to end up with a door that does not meet your needs. Read on to find out about four of the factors we recommend you carefully consider. Then reach out to Charles Window or stop by our award-winning showroom for more info. 1. Is the door secure? First, you must make sure that you choose a patio door that is secure. Remember that it is a barrier between you and the outside world. It should have a lock that is up to the challenge of protecting your home against forced entry. Look for glass that is thick, a frame that is strong, and a lock that is strong. Ignoring any of these issues can result in a home that is easy to break into. 2. How long will the door stick around? No one wants to get a brand-new door every year. 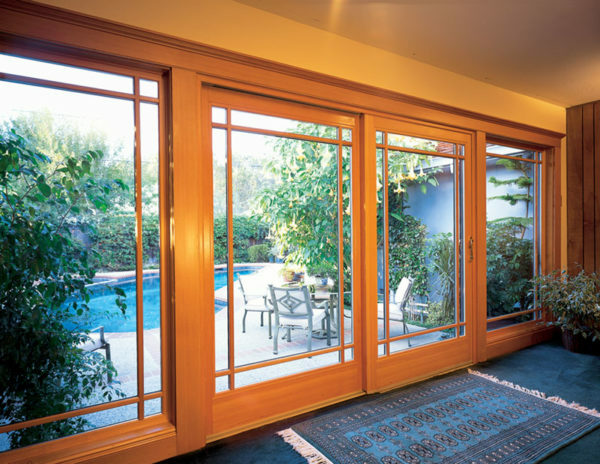 You are looking for a patio door that will last the lifetime of your home. That said, you also want a product that is affordable. It’s possible you will have to compromise but you should never choose a door that’s of such low quality that you will need to replace it within a few years. 3. How easy is it to maintain the door? Maintenance can be a pain if you choose the wrong door. You want to choose a door that does not require any maintenance if you want a door you can have installed and forget. There are also other options that may require occasional maintenance, such as wood doors. They may be worth it if you love the way they look but it is important that you take their maintenance needs into consideration when choosing a door. 4. Will the installation stand up? You do not want to spend money investing in a new door only to see that it allows air and elements into your home. This can result in a home that is significantly less energy efficient than you need it to be. The door you choose needs to have enough insulation to keep your home safe from heating and cooling loss and you need a company that will install the door without gaps.